If you’re craving a juicy, tender, cheese-topped burger — one that you can really sink your teeth into — then you’ve come to the right place, my friend. No dry hockey pucks here! Just the kind of burger you’d normally pay big bucks for at a restaurant. Today we’re talking burgers. From the best kind of ground beef to use to tips for shaping the patties, with a step-by-step recipe for simply the best burgers you’ve ever had — at home or elsewhere. Ready? After playing around with adding this and that to the ground beef in my quest to make a better burger, I finally realized that it’s really just about the beef. Buy good beef, and you’ll have a great burger. It’s that simple. The ideal ground beef for burgers should be 80% lean and 20% fat, though I can often only find 85% lean and think this still makes great burgers. Just avoid anything leaner than 90% — those burgers can easily end up dry and crumbly. Maybe even more than the fat content or the quality of the beef, I’ve found that using a light touch is the real difference between a burger I relish eating and one that becomes tough. The more you handle and mash the beef as you shape the patties, the more compressed and tough the finished burger. 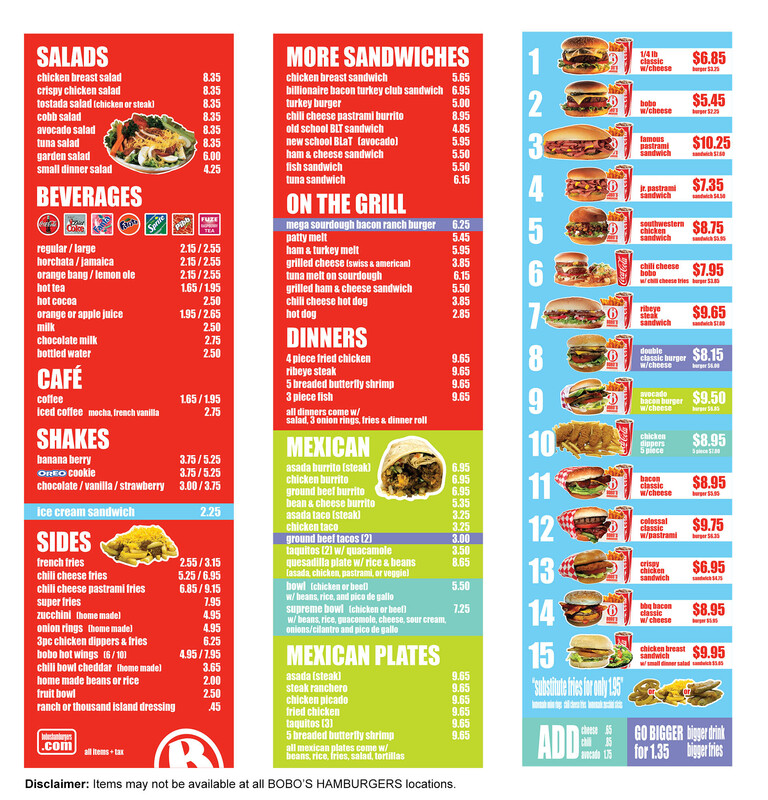 Instead, try to handle the beef as little as possible as you form the patties. Break off big fist-sized chunks of the ground beef and press them into rough patties against your work surface with the palm of your hand. Then gently pat the edges into a uniform round shape. Don’t worry if the edges look a little lumpy or have cracks — resist the temptation to make the patties look neat and tidy. Those cosmetic imperfections are all in the name of a supremely tender burger. Our food editor Christine taught us all this dimpling trick, and I haven’t looked back since. By pressing a shallow “dimple” in the middle of the patty, you avoid the problem of the burgers shrinking to half their size and doming up in the middle. After years of tiny, round burgers, this feels like magic. To make the dimple, just use your fingertips to pat the middle of the patties slightly thinner than the outer edge — maybe a quarter of an inch more shallow, at most. I always think the finished patties look like tiny Frisbee. 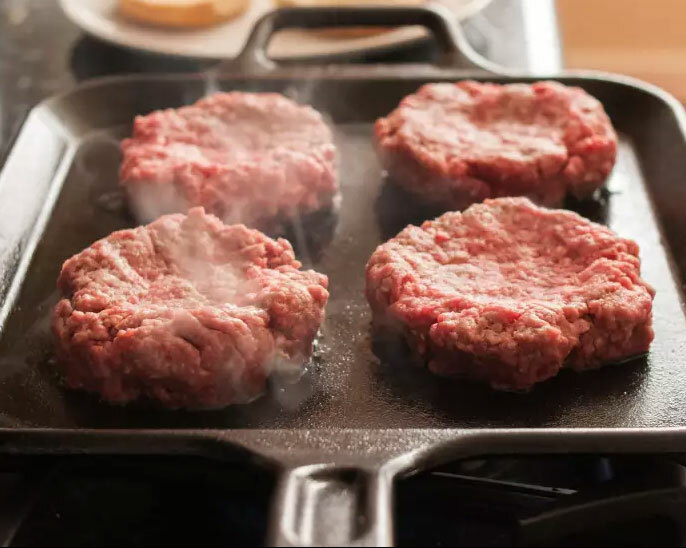 Cook your burgers in a flat pan over medium-high heat. The patties should sizzle when they hit the pan, and when you flip them, you should see a nicely dark, golden-brown sear on the underside. That’s the sign of a good burger! I find that the spatulas sold for cookies or pancakes work best. A fish spatula would also do a fine job in a pinch. Stove top burgers are a quick weeknight meal — very quick. Even if you prefer your burgers well-done, burgers will be ready in 10 minutes tops. Cook any longer and that’s when you wind up with dry, crumbly hockey pucks, no matter how diligently you followed the advice given above. It’s a little nerdy, but I usually set a timer so I don’t accidentally get caught up in conversation or another part of the meal and forget about the burgers. You can also keep an eye on the sides of the burgers — when you see just a bit of pinkish-red in the very middle, medium-rare burgers are ready; the second that pinkish line disappears, your burgers are medium.